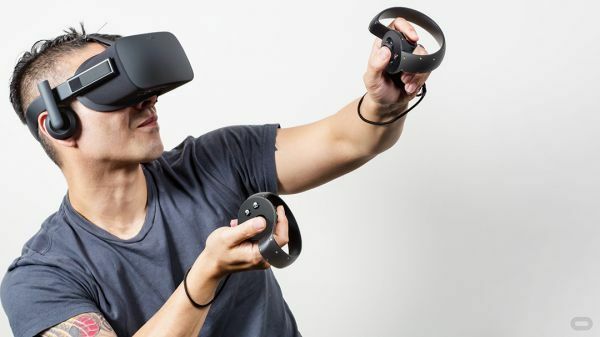 Oculus Rift was first teased to an expectant worldthree years ago.Now the Facebook-owned firm has finally lifted the lid on the final consumer version of the virtual reality headset, and it's due to go on sale in early 2016. Oculus chief executive Brendan Iribe launched the final production model of the Rift at a press conference in San Francisco. The Rift will be light enough to hold in the hand and also be able to accommodate a pair of glasses. It also sports a pair of detachable headphones that mount on adjustable sides. "You're going to put it on like a baseball cap,” said the firm. The headset houses two OLED displays and a slider lets users change the distance between the eye lenses for different-sized faces. It matches very closely the Rift concept leaks that appeared earlier this week. The headset will come with a wireless Xbox One controller and will stream games from the console. The firm has partnered with Microsoft on games such as Halo, Forza and Sunset Overdrive, to stream to an Oculus Rift headset via Windows 10. Rift will be natively compatible with the forthcoming OS. Xbox boss Phil Spencer said at the Oculus press conference that Rift will work natively with Windows 10 to make set up of the VR device easy. Spencer added that the Rift will also benefit from the use of DirectX12. Check out our full Oculus Rift features guide. Other games that will appear on the Rift include EVE Valkyrie, Chronos and Edge of Nowhere, to name a few. The firm also announced a prototype of its Oculus Touch handheld motion-tracking haptic controllers. These “half moon”-shaped controllers will allow users to pick up objects, gesticulate or shoot virtual weapons. These will even sense if a player is giving the thumbs up or pointing. However, the Rift will actually launch with an Xbox Controller, another example of close collaboration with Microsoft. Visitors to E3 next week will be able to try out the new Rift there. Oculus has yet to confirm a price or precise launch date for the Rift VR headset, although an earlier quote suggested around $500 (or $1,500 depending on how you look at it). Oculus Rift's Dear Angelica: is this short animated film the saddest use of VR ever?